Dragons, family, differences, similarities, treasures. 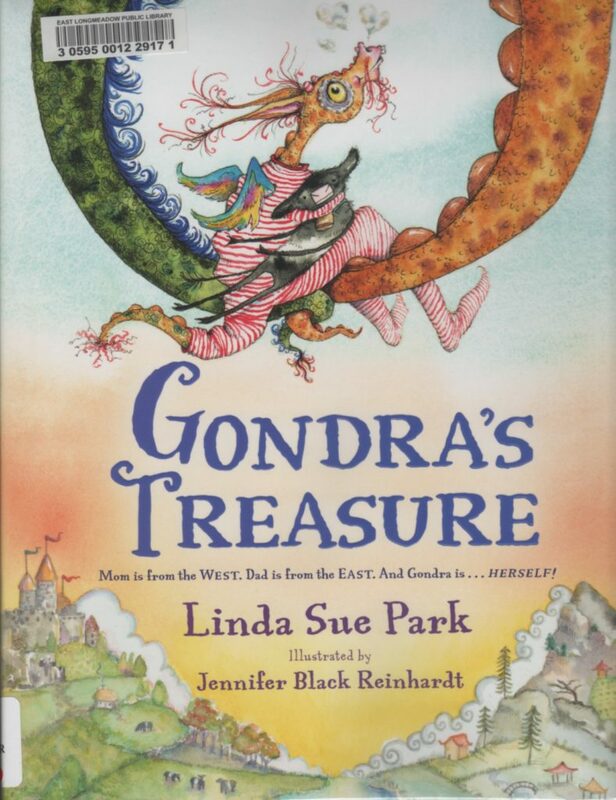 This is a lovely book, told from Gondra’s perspective, about ancestry, the traits she gets from her parents, and the treasure she is to her mom and dad. Her mom, a fire breathing dragon from the west, and her dad, a mist blowing dragon from the east. The magic of flying, living in caves or rivers, having gold or green scales, it’s all part of Gondra’s heritage. The colorful illustrations have sweet little surprises, like Dragon Puffs cereal, or a dragon umbrella. I am a sucker for red striped pajamas too.